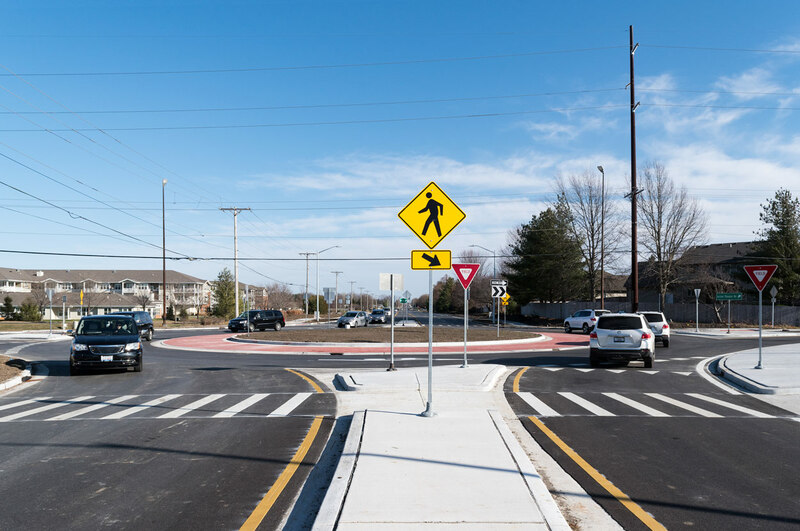 On Monday, December 11, the city of Springfield, Illinois, opened its second roundabout at the intersection of Iles Avenue and Archer Elevator Road on the west side of town. CMT led the planning and design of this highly anticipated project. CMT has designed roundabouts in other communities, as they are gaining popularity throughout the U.S. Roundabouts provide many benefits including improved safety, efficient traffic flow, and aesthetic appeal. The center island is ideal for landscaping design features, but it also causes traffic to slow down. As a result, roundabouts have approximately 90% fewer fatal crashes and 75% fewer crashes with injury (Insurance Institute for Highway Safety). While a conventional intersection has 32 points of conflict, an equivalent roundabout has only 8. 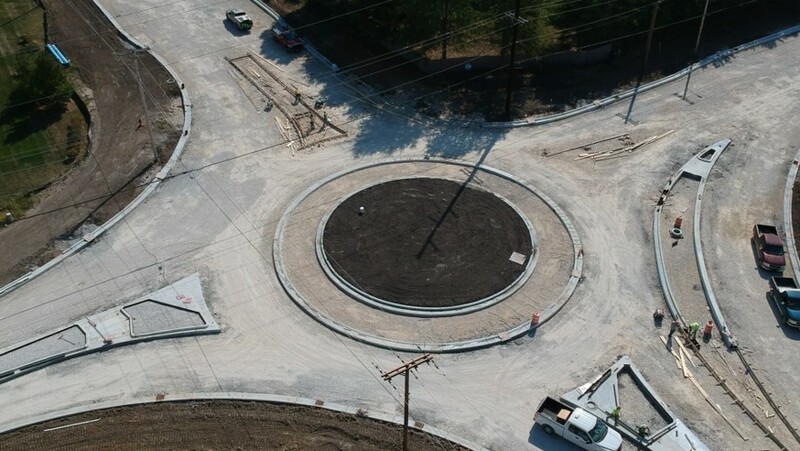 The state of Illinois is recognizing the benefits of roundabouts. As of March 2017, there were 63 open throughout the state. One example includes the city of Peoria, which currently has five roundabouts open or under construction. According to the City Engineer, the city has received primarily positive feedback from the public and has experienced very few crashes. This Springfield project considers all users, including bike and pedestrian traffic. Existing bike lanes on Iles Avenue have been continued to the new intersection, and bike lanes are now included along Archer Elevator Road. And, pedestrians will now only cross one direction of traffic at a time with shorter crossings, which is why roundabouts are generally considered safer for pedestrians. The project’s design features include a truck apron, a landscaped central island, signing and pavement marking, lighting, and sidewalks/shared-use paths.